Opening Friday 5 August at Southbank Theatre, The Sumner, award-winning novel Jasper Jones is brought to life in a rich and poignant new production directed by Sam Strong. Recalling a past Australia that’s neither as simple nor as innocent as we’d like to remember, Craig Silvey’s revered novel has been lovingly adapted for the stage by* Kate Mulvany* and will star Guy Simon in the title role, Nicholas Denton as the impressionable Charlie Bucktin and Harry Tseng as his best friend Jeffrey Lu. Ian Bliss, Taylor Ferguson, Rachel Gordon and Hayden Spencer complete the cast for this timeless coming-of-age story. Jasper Jones attracted widespread accolades upon its release in 2009 and is quickly becoming a quintessential Australian classic studied in schools across the country. Often described as Australia’s To Kill a Mockingbird, the thoughtful, funny and heartbreaking story about outsiders and what it really means to be a hero has been transformed for both the stage and screen with a feature film soon to be released. Late one summer night in 1965, young Charlie is startled by fierce rapping on the window of his sleep-out. It’s Jasper Jones, the baddest kid in the wheatbelt town of Corrigan. Steer clear of him, parents say, he’s nothing but trouble. And now he’s outside Charlie’s window asking for help, begging him to come see something, something awful, something that’ll change his life. Kate Mulvany is an award-winning writer and actor. Her plays include the acclaimed adaptation of Masquerade, The Web, The Wreath, Blood and Bone, Story Time, The Danger Age, Vaseline Lollies, and Naked Ambition. She also collaborated with Tim Minchin on the musical Somewhere at Q Theatre and with Pip Branson on Embalmer! – the Musical, produced by Tamarama Rock Surfers. For Bell Shakespeare, Kate adapted Julius Caesar and Macbeth, as well as an award-winning adaptation of Medea for Belvoir in 2012. In 2012, Kate played the role of Rose in MTC’s production of her play The Seed, which had previously won the 2004 Philip Parsons Young Playwright’s Award. 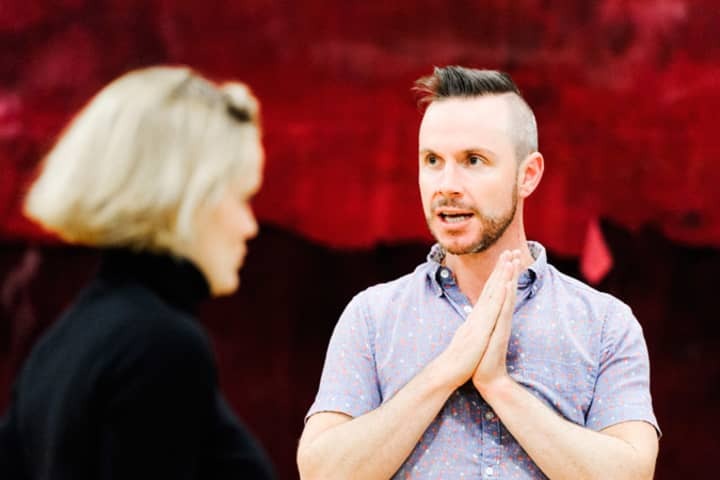 Sam Strong is the Artistic Director of Queensland Theatre Company, a role he took over in late 2015 after three years as Associate Artistic Director at MTC and, previously, three years as Artistic Director at Griffin Theatre in Sydney. He has been nominated for multiple Best Director and Best Production awards at the Helpmann Awards, Sydney Theatre Awards and Green Room Awards and won the 2013 Sydney Theatre Award for Best Direction of a Mainstage Play. His directing credits include Double Indemnity, The Weir, Endgame, The Sublime, The Speechmaker, Private Lives, The Crucible, Other Desert Cities and Madagascar (MTC); Les Liaisons Dangereuses (Sydney Theatre Company); Masquerade (Sydney Festival / Melbourne Festival / STCSA / Griffin); The Boys (Sydney Festival/Griffin); The Floating World, Between Two Waves, And No More Shall We Part and Speaking in Tongues (Griffin); The Power of Yes (Company B Belvoir); and Red Sky Morning and Faces in the Crowd (Red Stitch).